More than 50 classic cars and charity lots are now confirmed for the ‘Pride & Joy’ auction at CarFest North hosted by Silverstone Auctions in aid of BBC Children in Need on Sunday 9th September. And there is still time to get a ticket as Silverstone Auctions has secured a limited number of day passes for CarFest North priced at £60 each. These can be purchased by calling Silverstone Auctions on 01926 691 141. 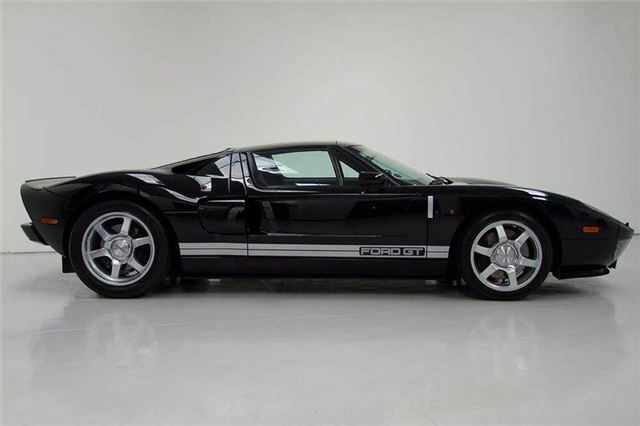 Star lot is a 2005 Ford GT (Lot 144), estimated at £115,000 - £125,000. There is also a 1993 Lamborghini Diablo (Lot 115), estimated at £53,000 - £60,000, and a 1968 Jaguar E-Type Series 1.5 Roadster (Lot 124), estimated at £52,000 - £58,000. Older cars include a 1961 Triumph TR4 (Lot 105), estimated at £24,000 - £28,000, a 1967 Riley Elf (Lot 140), estimated at between £3,500 - £4,500, and a 1968 MG 1300 Saloon (Lot 150), estimated at between £3,000 -£5,000. Meanwhile, there are more than 15 entries with estimates below £10,000 and within reach of most of the event’s visitors. Charity entries include two tickets for Liverpool FC against Manchester United on 23rd September (Lot 129), a behind the scenes experience to watch Saturday Kitchen filmed in London (Lot 121) and a factory tour of Aston Martin in Warwickshire (Lot 141). Nick Whale, managing director, Silverstone Auctions, said: “We hope to repeat the success that we enjoyed at CarFest South where we helped raise £60,000 for BBC Children in Need and all the signs bode well if the diversity of lots we have on offer is anything to go by. Those unable to attend but also keen to bid can do so by telephone, by leaving a commission bid or live online via i-Bidder.com. Viewing takes place on Saturday (8th) and until 2pm on Sunday (9th) and is then followed shortly afterwards by the auction. For more details, and to view all of the cars on offer, visit www.silverstoneauctions.com/carfest.